Contact Coral Gables Accident Lawyers Gerson & Schwartz, P.A. Have You or a Loved one Been Injured, or Worse, as the Result of a Crime in Coral Gables? You should know that crime victims have the right to seek compensation for the damages, injuries and losses suffered as the result of the Coral Gables crime. You may be able to recover for medical bills, medications, lost earnings, pain and suffering, scarring, and other costs depending on the circumstances of your case. But, the fact that the law provides you with a possibility for damages recovery doesn’t mean that you’ll get it. That is why you should call the best Coral Gables crime victim lawyer that you can locate. 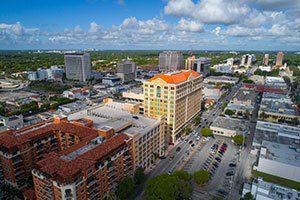 At the Coral Gables crime victim law firm of Gerson & Schwartz our lawyers are seasoned crime victim advocates. We have fought aggressively for crime victims in Coral Gables and throughout Miami for more than four decades. Our Coral Gables crime victim attorneys have experience in recovering for crime victims and they are ready to help you and your family. Call us now at (305) 371-6000 for free consultations or schedule a meeting at our Miami office at 1980 Coral Way. We never ask for fees unless we recover financial compensation for you. Coral Gables is a city in Miami-Dade County, located next to the Atlantic Ocean, Coconut Grove, Westchester and South Miami. It is home to famous stores, hotels and historic landmarks. The crime rates are not as high as in other Florida areas, but it doesn’t mean that crime is non-existent in Coral Gables. In most Coral Gables crime victim compensation cases, there are three roads to damages recovery for crime victims. The best one for you depends on your case. That's a decision that you should make together with your lawyer. Here at the Gerson & Schwartz, we generally caution against the most obvious road - recovering from the criminal offender. In most cases, they don't have money to pay. Sometimes they even don't get caught. There are two other options more reliable than this one. If the crime accident has happened at premises of a commercial enterprise such as a retail store, banks, ATM, gas station, convenience stores, nightclubs, affordable housing buildings, bars or stores the owner and operators of those premises may be liable. They owe visitors a duty of care, which means taking all the reasonable steps for preventing foreseeable crimes. Most often that includes necessary security measures including a security plan, proper lighting, surveillance cameras and security staffing. But when they breach the duty of care due to inadequate or negligent security injuries or death may occur. If your loss was caused in whole or in part by the negligence of the owner or operator, then they may be responsible for your damages and should be held accountable. If you can’t recover from the criminal or a third party all is not lost. While you will not recover the full amount of your losses it is possible to be compensated for some of your economic losses by applying to the Florida Bureau for Victim Compensation. If you prove that you meet the legally-set requirements for compensation, you may be able to receive money for your medical bills and lost wages. Call us now at (305) 371-6000 for free consultations as your Coral Gables crime victim attorneys. We handle all injury cases on a contingency basis. For you, that means that you don’t need to pay for anything unless we recover for you.